Handling a Dutchess County DWI or Poughkeepsie DWI case requires knowledge of the Assistant District Attorneys, the Judges and the procedures in each individual Dutchess County Court. Having started my career as an Assistant District Attorney in Poughkeepsie prosecuting DWI cases in all of Dutchess County I realized not all Judges, attorneys or cases are the same. 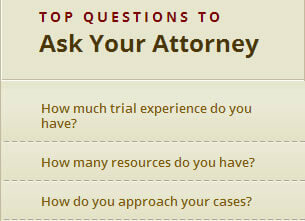 This is where experience matters when hiring an attorney to handle your Poughkeepsie DWI case. The procedures and policy of the Dutchess County District Attorney are often changing. When I first started practicing Poughkeepsie DWI law 23 years ago the unwritten policy was if a reading was above a .15 then the person would initially receive an offer of a plea to the charge. It was then up to the Poughkeepsie DWI attorney to convince the assistant district attorney to reduce the Poughkeepsie DWI case. When I was a prosecutor I would clearly listen more to a experienced trial attorney then one who had little to no trial experience. I knew they could not back up their arguments in a hearing or trial and often just would back down. Things have changed little in this regard and Assistant District Attorneys still know who will and will not take borderline cases to hearing and trial. Worse still is the readings are much lower for a plea to the charge offer, the jail time higher, the fines higher and the possibility of losing your license forever now a threat in all Poughkeepsie DWI and Dutchess County DWI cases. It is more important that ever to hire the right Poughkeepsie DWI lawyer or Dutchess County DWI lawyer to represent you. At MacKay and Berube we have handled thousands of DWI cases of the course of our careers and more importantly have brought hundreds of these cases to either trial or hearing. When looking for the right attorney experience matters come in and meet with one of our attorneys for a free consultation on your matter today.